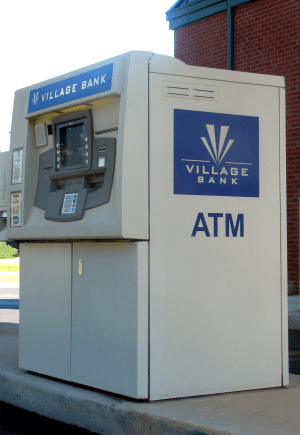 Village Bank is a community bank that has grown to 15 branches since its start in 1999. 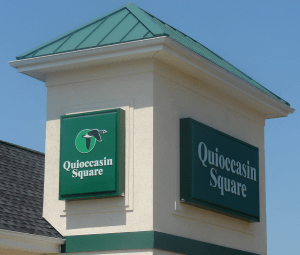 With their rapid expansion, including their merger with River City Bank, they have an ongoing need for signage. When they changed their corporate identity, they chose Holiday Signs to translate that image into a new signage program. “Every time we open a branch, we need a complete sign package,” said Raymond E. (Buddy) Sanders, Sr. Vice-President and COO of Village Bank. “Exterior, interior, ATM’s, freestanding, and building mounted…each location requires a wide variety of signage. We needed somebody who could do it all and grow with us too,” he said. “When it comes to signage, Holiday Signs is our partner,” Buddy said with a smile. 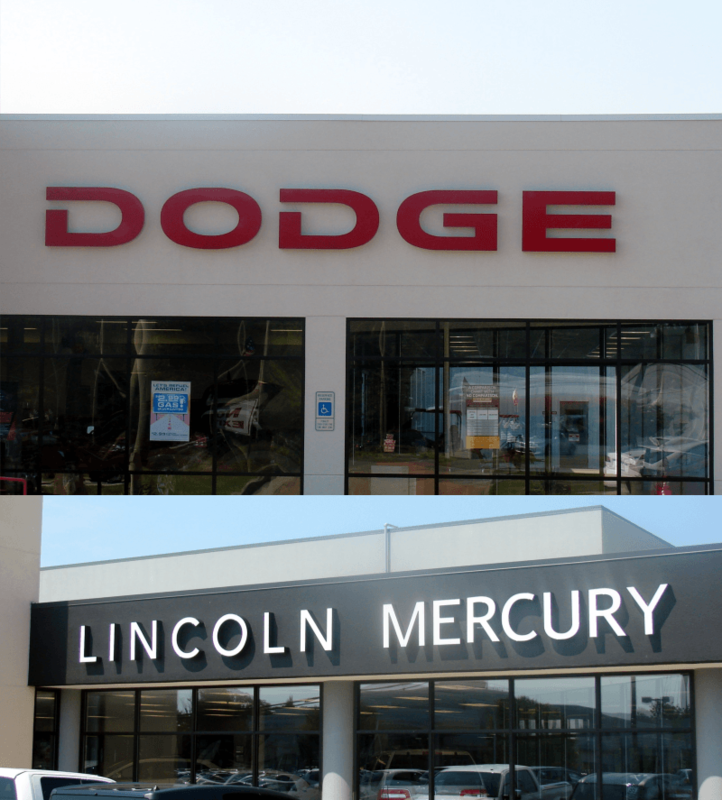 There are many options for electric signs and many a Virginia retail company relies on Holiday Signs for guidance in choosing the right options for their unique marketing needs. American Family Fitness is Central Virginia’s premier chain of health and fitness clubs. Since their facilities are open 24 hours a day, seven days a week, they wanted to ensure that their bold, family-friendly image was easily recognizable day and night. To keep their image modern and vibrant, they’ve gone through several re-imagings over the last ten years, each time requiring new signage at all of their locations. SIGNS NEED TO STAY FIT TOO! “Holiday Signs has been through three brand changes with us,” said Brian Evans, President of American Family Fitness. “They really understand what we need to be successful,” Brian said. 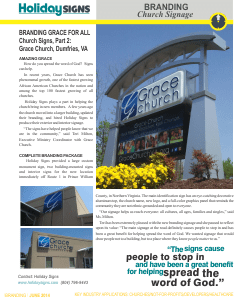 “We require both interior and exterior signage and it’s helpful for us to get it all at one place. And because we are open 24 hours a day, we rely on Holiday to make sure that all of our signs are lit and looking good around the clock,” he continued. How quickly do people recognize your brand from the street? Also, how many of them remember you after they pass your site? It’s important not to forget your brick and mortar branding as you focus on customer’s on-line experiences with your business. The Wilton Companies is a dynamic, full-service real estate firm that owns, develops and manages a diversified portfolio of over 3 million square feet of commercial property in Richmond, Virginia and the Mid-Atlantic region. They wanted to create an image that not only showed how large and wide-ranging their real estate holdings were, but would also visually tie their properties together. “Even though we have many diverse properties, we wanted each one to be readily recognizable as a Wilton property,” said Rich Johnson, President and CEO of The Wilton Companies. 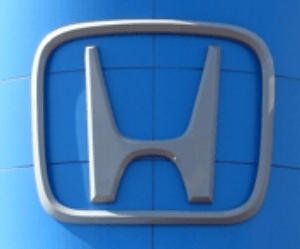 Pearson Auto Group is a collection of signature auto dealerships in Central Virginia whose product lines include Infiniti, Lincoln Mercury, Honda, Mitsubishi, Hyundai, Dodge and Toyota. They were interested in elevating the Pearson brand in the minds of their customers. They instituted a large scale re-imaging project that included new showrooms, storefronts and signage at all eight of their locations. “We wanted to put the Pearson name on equal footing with the national brands that we sell,” said Frank Pearson, President of the Pearson Auto Group. Holiday Signs helps this Virginia Theme Park attract & entertain visitors with custom electric signs. 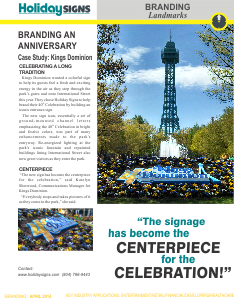 Kings Dominion is Central Virginia’s most exciting theme park, with over 50 rides, live family entertainment, a 19-acre water park and the largest collection of roller coasters on the East Coast. They are constantly adding new attractions and upgrading existing ones and signage for these attractions is a big part of the park experience. 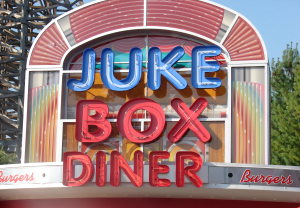 “We’re in the entertainment business and our signs have to make a big splash,” says Steve Blissert, Manager of Signage & Graphics at Kings Dominion. Signage for theme parks is one of several industry niches that Holiday Signs has worked into over the years. 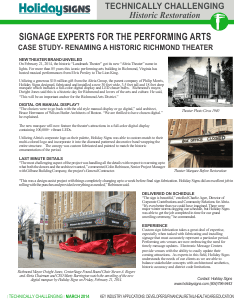 Custom theater signage, and historic theater marquee restoration is another entertainment related specialty. 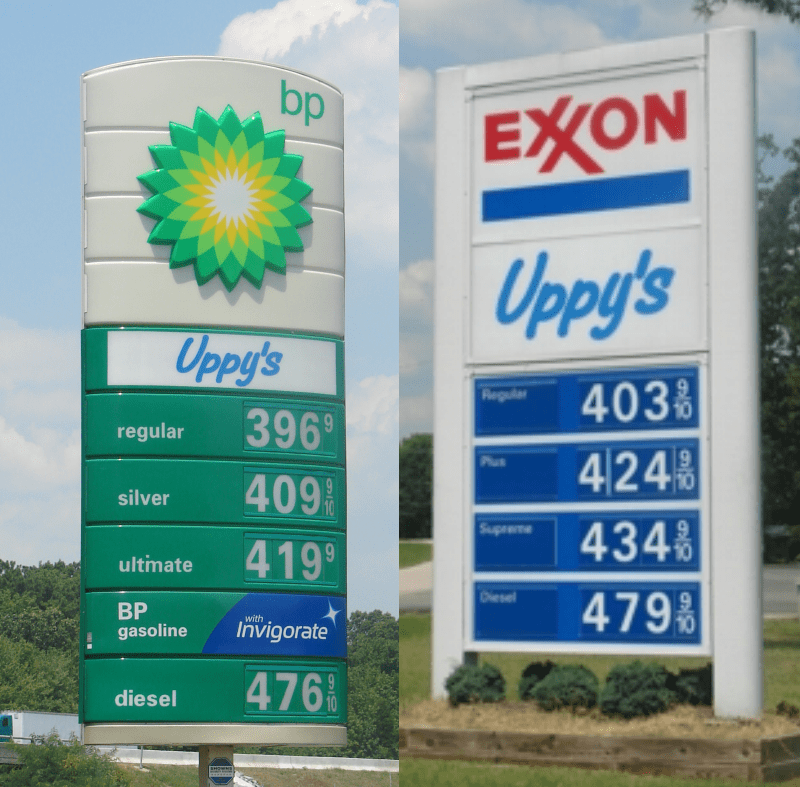 Uppy’s is a chain of convenience stores based in Richmond, Virginia. They faced a big challenge when two super-regional convenience store chains moved into the area and drastically changed their marketplace. Uppy’s made the decision to improve their stores to maintain and even grow their market share in this more competitive environment. “We had to upgrade our image to keep up with the new competition,” said Steve Uphof, Owner of Uppy’s Convenience Stores. “We reached out to Holiday Signs for help. They came up with a great sign package that made Uppy’s very inviting, both inside and out,” he said.